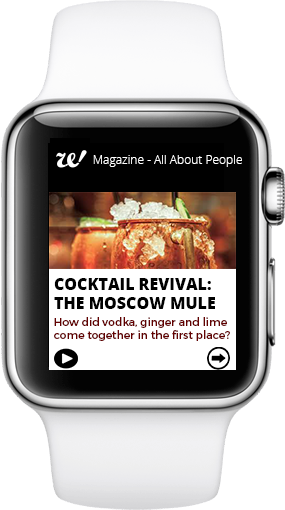 Woopie - Write Only Once, Publish It Everywhere, is a digital publishing platform that helps you create publications that look beautiful on every device. Whether you watched Apple’s keynote last week unveiling the new Apple Watch or ignored the entire thing, you probably know that Apple Watch is launching soon. As publishers, we eagerly anticipate seeing how people use the devices and what the sweet spot use cases are for it. 1) Just the headlines: For a brief overview of a publication, why not let the reader simply swipe through the various articles, viewing headlines and perhaps a summary or a subhead from the content? Maybe add a favorite or a “like” to the article to sync it to your iPad or iPhone for more in-depth reading later. 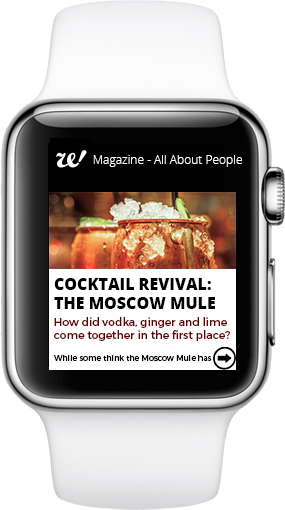 2) Read it to me: It might simply be too tedious or awkward to read through an entire article on a watch, and since most people will likely have a phone with them anyway, an audio version of content is an option for Apple Watch publications. The reader can swipe through the main content, clicking the play button to hear an audio version. 3) The Minimap: A minimap is a small version of something that gives you a sense of the layout, size and flow of the article. Providing a minimal view of an article could be a great way to let readers know if it’s something they want to pull out their phone to read versus save it until they’re at home and have more time. 4) Notifications Only: Let the user know that a new edition or issue is available and enable them to start downloading it to their iPad or iPhone. Devices are always changing: size, dimensions, resolution and more. Devices will continue to adapt and evolve as people’s lifestyles do and as technology capabilities increase. 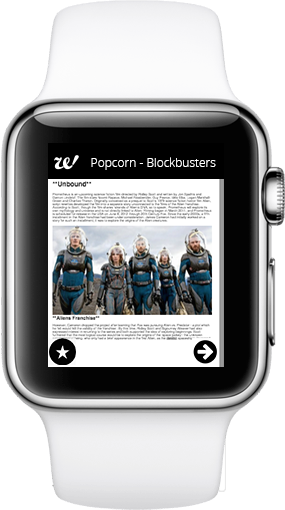 Do you envision consumers will read on their wearable devices? 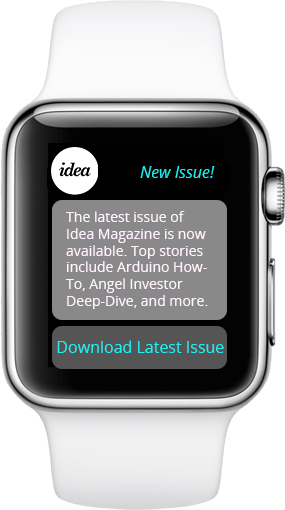 What types of things do you see people wanting to do with watches and wearables? Publishers who stay agile and flexible will always have a big advantage in their ability to repurpose and repackage content without having to create a new CMS or try to reformat a PDF. Talk to us about how you can keep your content responsive and delivering on your audience on any device, anywhere with Woopie. Once you have created your book, it’s to think about editing, previewing and publishing. We’ll start with a quick refresher on output formatting. 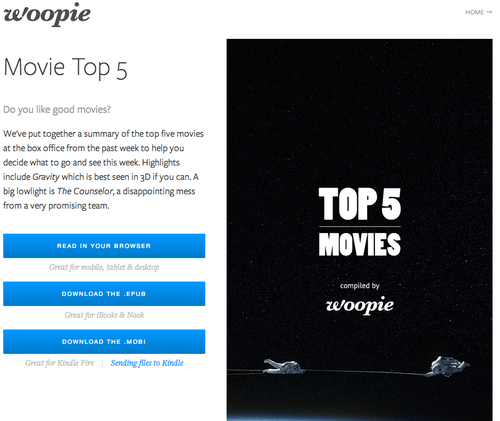 Woopie creates up to four different versions for you, so that your readers always have the best version with the most appropriate content for them. It doesn’t make sense to include, for example, large video files for a black-and-white kindle reader because they take up space, slow the download, and cause reader confusion and frustration when they can’t access or play the video. 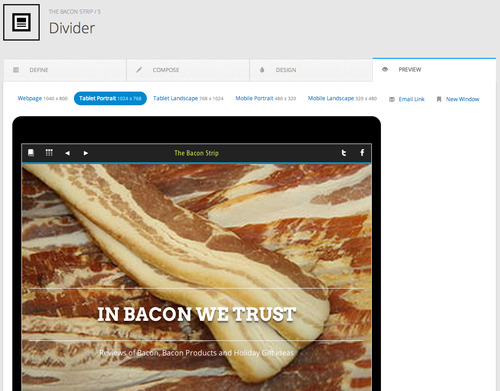 Instead, Woopie builds your publication with contextual intelligence. So a reader on a desktop browser sees a high-res version of the video, an iBooks reader gets a smaller, compressed, embedded video, and a black-and-white kindle reader sees a screenshot of the video with a relevant caption. – Web will give you a responsive web reading layout, suitable for desktop, tablet & phone screen sizes. – mobi will give you an eReader format suitable for all Kindle devices. 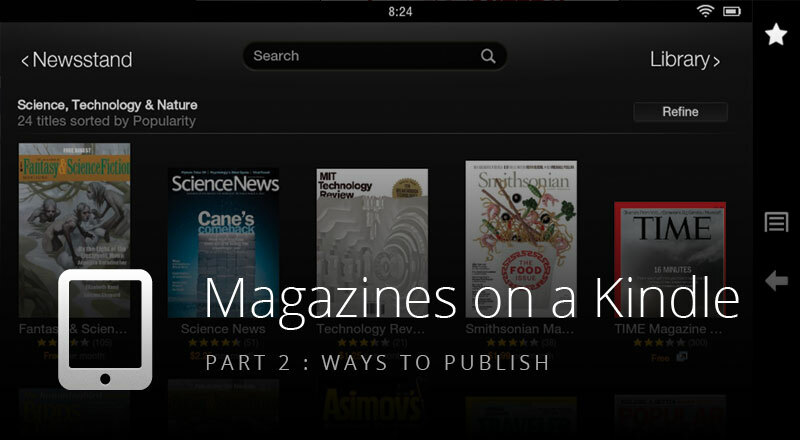 – iOS will create a version suitable for an iOS Newsstand app. One of the most frustrating parts of creating digital publications is previewing and testing on different devices. In fact, our experience doing this with our own magazine was the biggest reason we ended up building Woopie. We spent way too much time creating, exporting, downloading, testing, fixing, repeating, so we built Woopie to do that for us and for anyone else with the same frustration! Testing can be time-consuming, awkward, slow as well as expensive if you’re buying different devices to test things out on. By previewing the content, you can view it at many different device sizes and responsive layouts. This gives you a good feel for how your images look, whether you need more or less media, if the fonts feel right, etc. Besides the web viewer, you can also email yourself a link to the publication so you can view on your phone or tablet. Or forward the link to a friend or colleague to get their take on it. Lastly, we make it as easy as possible to get the output onto your own devices in case you want to test them yourself, too. Download the formats and copy them to your tablet, or push them to your dropbox folder and access them that way. 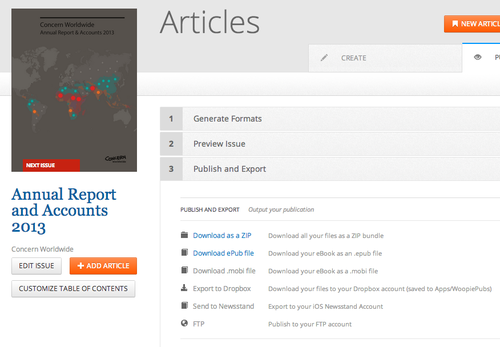 Now you can download files and share or distribute them. Publishing means different things for different people. You may want to download the files and push them to your own server, or you may want to push them to Dropbox or an FTP account so that they are live on your own URL or server. There you can have all the links to download the books, and this is also a good place to put things like links to Amazon or iTunes if your book is for sale in other marketplaces. You can also enable a paywall if your content is only for subscribers or members. There are many other ways to think about revenue from your content, like tweet-to-unlock, pay-per-day, subscriptions and many more which we’ll cover in a future article. NOW TELL YOUR READERS ABOUT IT! Now that your book is completed and ready for your readers, it’s time to help make sure they find it! In our next post we’ll talk about marketing strategies and tracking your downloads. You’ll need a Woopie account, if you don’t already have one. Click here to sign up for an account. Simply use Woopie’s “Create from Blog” button. Add the URL of your blog and click “import.” It’s as easy as that! Perhaps you want to focus the content a bit more. If you don’t want the last ten posts of your blog, you can also import a custom RSS feed or one sorted by tags or categories. Using WordPress for your blog? Getting a specific RSS feed from WordPress is really easy. Just type your URL plus either “category” or “tag” followed by the word you want and then “/feed/“. Tumblr is just as easy. It’s just the URL followed by “tagged” and the category name. You’re all set to publish your book and then a new article is posted to the blog, which you’d like to include. Do you have to start over? Nope. You can simply import that extra article right from its URL. Go to the article listing. At the top right, you’ll see a “New Article From URL” button. Click that and paste in the URL of the article. Woopie does the rest. Creating a self-contained ebook for Amazon or iBooks requires us to import your images or they will appear as broken links. However the image importing takes a bit more time than just the text. As a rule of thumb, you can skip image importing if you just need a web version of your book or the content will always be online. If you need it to be available offline, it is safer to import the images. 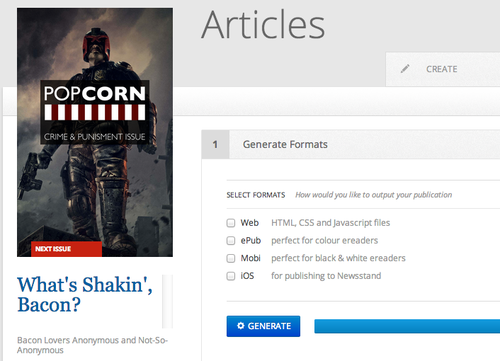 You can now simply click the “Generate” button on the article listing page to have Woopie create your book. Simple! Next week we’ll cover previewing and publishing your work through Woopie. 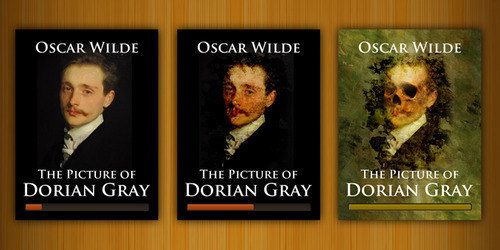 In the meantime, be sure to check out our ebook samples at http://woop.ie/samples.html. In my last post on the Kindle marketplace, I covered the reading experience of different types of magazines on various Kindle devices. In this post, I’m going to look at Kindle from the publisher’s point of view. Avid Kindle readers are familiar with how easy it is to find a book on Amazon, click to purchase, and have it arrive onto your device in seconds. If you’re interested in selling to this crowd, there isn’t just one way to do so. In this blog post, we’ll walk through Kindle Direct Publishing, KDP Select, Kindle Singles, Kindle Publishing for Blogs, Android Apps, and hosting your own files for Kindle readers. If it’s a book you’re writing, Kindle Direct Publishing, or KDP is a good bet. KDP takes your book in formats like Word, HTML, ePub, plain text, rich text or PDF and converts it for you. They offer formatting tips and advice for making sure you’re happy with your content. Additionally Amazon provides both a KindleGen and a Kindle Previewer tool to help you convert & test. Be prepared to spend a lot of time here, though, it can take a while to iterate through format/kindle gen/kindle preview steps. Once you’re happy with how your content is formatted, you’ll need to provide KDP with some details about the product, preview metadata, keywords, categories, pricing, royalty information, etc. I won’t cover pricing strategies, as there is already a lot of guidance on how to do that, but I will mention that KDP offers two options: a 35% royalty or a 70% royalty. If your price is between $2.99 and $9.99, you can opt for the 70% royalty option, otherwise you’ll be getting 35% royalty. You’ll also need to select pricing for each of the different Amazon stores (India, UK, Germany, etc.). Once you’re information is there & your content is uploaded, you should be good to go. KDP also have two new programs to allow publishers to make their books available in audio via ACX and in print using CreateSpace. KDP Select is an option for KDP publishers that could be a good option if you need marketing or promotional support for new material and don’t mind a period of exclusivity. While enrolled in KDP Select, your Digital Book must be exclusive to Kindle and will be included in the Kindle Owners’ Lending Library Program where it will earn a share of a monthly cash fund when readers borrow it. Also, you can promote your Digital Book as free for up to 5 days during each 90–day period. Additionally, by including your Digital Book in KDP Select, your Digital Book will also be eligible to earn 70% royalty for sales to customers in Brazil, Japan, and India. Before enrolling in KDP Select, however, be sure you are willing to give Amazon the exclusive right to sell and distribute your publication in digital format while it is in KDP Select. During this period of exclusivity, you cannot sell or distribute, or give anyone else the right to sell or distribute, your content (or content that is substantially similar), in digital format in any territory where you have rights. For shorter form content, Kindle Singles is a great option. A Kindle Single is typically between 5,000 and 30,000 words and Amazon describes them as “compelling ideas expressed at their natural length, writing that doesn’t easily fall in to the conventional space limitations of magazines or print books. 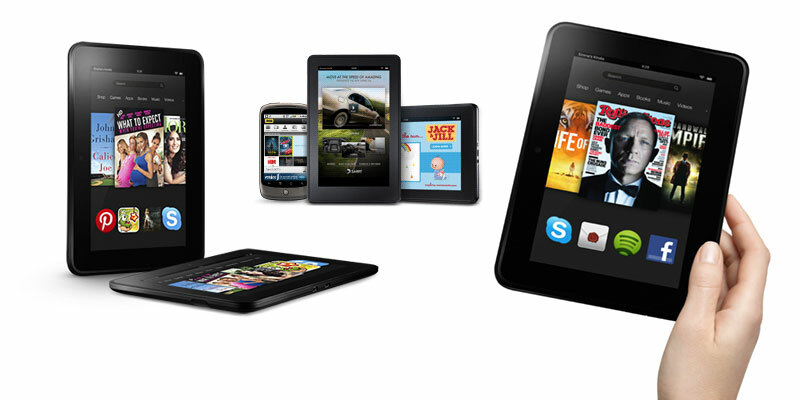 They can be any topic, and Amazon will consider ebooks recently published via KDP, manuscript submissions or pitches. To submit, you simply email a summary of the work along with the title (and, if you have it, the Amazon Standard Identification Number, or ASIN) to kindle-singles@amazon.com. Alternately for non-published work you can email a manuscript, detailed pitch or proposal. Submissions are usually responded to in about four weeks, and if your content is accepted you will receive instructions for submitting via KDP. All Kindle Singles must have a list price of between $0.99-$4.99, and authors can choose either royalty option even if it’s below $2.99. Authors retain all rights to their work, and Kindle Singles are made available in all territories where you have rights. Categories ineligible for Kindle Singles include how-to manuals, public domain works, reference books, travel guides or children’s books. If you’re working on comics or graphic novels, Kindle has something new for you: the Kindle Comic Creator. 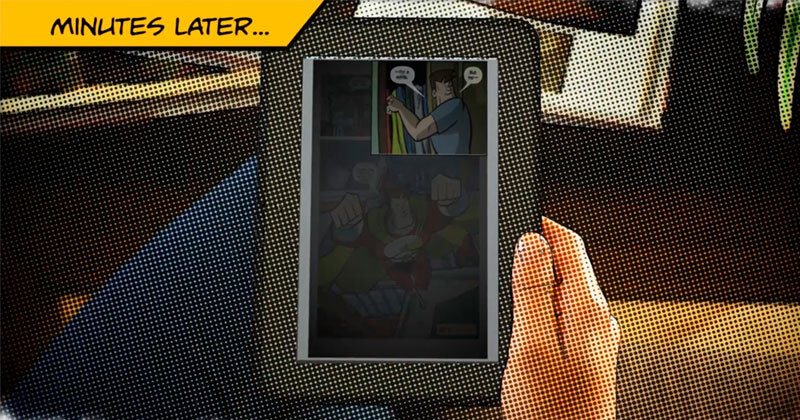 Comic Creator is for comics, graphic novels, manga, and creates a cool guided navigation experience. Unlike the regular, paginated text content of most Kindle publications, you can set original resolution and create double page spreads or facing pages to give comic lovers a great experience. Authors can start from scratch or import from ePub, KF8 or PDF formats. Once you’re finished creating your comic book or graphic novel, you can preview on Kindle Fire or Paperwhite devices, and support for previewing on the Kindle app for iPad and iPhone is coming soon. When you’re ready to go, you can publish and sell through KDP as described above. Last year I was part of a beta program run by Amazon called the Kindle Publishing for Newspapers & Magazines Beta, but their site indicates now that the program has closed. There is no indication on their site that the program will be reopened. I have continued to ask for details on this program or guidance on periodical publishing for Kindle but keep running into dead ends. This article from last year on paidContent mentions that Amazon has not stopped letting publishers on board, but is severely restricting the publishers using their older, black-and-white edition infrastructure. Instead we see a nudge to move publishers towards the self-service option of building an Android app for the Amazon Appstore for Android, which is what we’ll cover next. With the lack of available information on creating periodicals in mobi format to sell to Kindle owners, I’m making an educated guess that Amazon is trying to decrease its need to have infrastructure here and instead trying to push publishers towards creating their own self-service Android applications for magazines and newspapers. There is some information here https://developer.amazon.com/sdk.html on the Amazon Mobile SDK for those building apps for the Fire tablets, and this includes information on in-app purchasing, working with Whispersync, including mobile ads and more. If your audience is not exclusively Kindle readers, you may like the idea of hosting and promoting your content yourself. By this I mean that you have your own website where you list the available issues, deal with sales & subscriptions, and make content available in the formats of your choice. See this site for a great example of what that might look like: http://pragprog.com/magazines. If you want to go this route & not limit your audience to the versions they have available, Woopie can save you a lot of time in creating and generating the different formats. That’s a brief overview of what the options are to publish your content for your Kindle-loving customers. For more details definitely check out the Amazon Kindle publisher resources as well as the forums. If you have any questions or comments, or you are working on Kindle publishing at the moment, we would definitely like to hear from you. Let us know what you think! Books change us. Stories like Catcher in the Rye, On The Road or Neuromancer can send us on journeys both literal and metaphorical. Reading through these stories, we find out more about the characters, and sometimes more about ourselves. And yet, these stories sit on our virtual bookshelves, unchanged. Wouldn’t it be fun if they changed along with us? 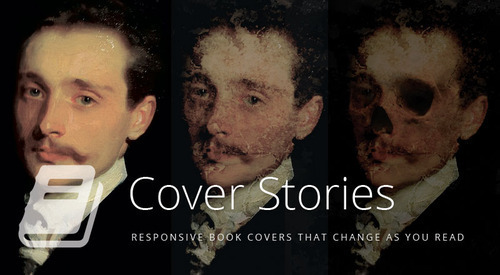 Digital publishing has had a huge influence on book cover design – see Craig Mod’s essay Hack the Cover for an in-depth discussion. In this essay Craig talks about how book covers need to become more iconic to stand out at small sizes on the Amazon store and in iBooks. How they need to not only work at different sizes, but at different colours and resolutions depending on device specifications. The most interesting part, though, is the need for delight.Reluctant bibliophiles lament the lack of beautiful bookshelves and the feel of a book in their hands. So how can we bring something new to the table? And so with this great digital flood — and the Death! Death! Death! of the cover — comes a chance to reconsider how we think about covers. To break from nostalgia. Or, even better: to lay the foundation for a new nostalgia. But perhaps most importantly, embedded within all of this is the chance to delight readers undelighted. A book’s cover needs to delight us – to convince us to pick it up and start reading. Of course, there can be no spoilers – but why not change the cover to reveal what we know as we journey through the pages? In this story, our protagonist commits all manner of sins, yet his face does not age or become marked, the effects instead being magically transformed to a portrait in the attic. Imagine a book cover that reflected this – as we start to read, the portrait is untainted, yet by the end it is a ruinous horror. In this way, we can delight our reader by changing the book cover each time they open it, and help communicate the story by giving a sense of dread and foreboding as the book progresses. Here’s a different approach, for a different story. Alice in Wonderland is a fantastic tale filled with incredible characters. Why not remind the reader of this by updating the cover as Alice encounters new creatures. 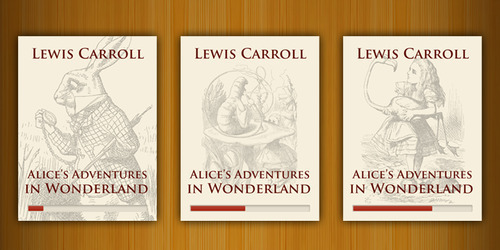 Bringing Sir John Tenniel’s beautiful illustrations to the book cover without having to pick just one will help communicate the story and remind the reader where in Alice’s epic journey they left off. This approach would work equally well for The Lord of The Rings or a travelogue. Let’s say you have a magazine for your customers on your plane/train/cruise ship, and you spend time sourcing great content and advertising to help them plan their journeys and enjoy their travel more. You have an eager, focused audience with a lot in common. Wouldn’t your readers appreciate the chance to purchase tickets for the tours you’ve recommended or book the restaurant your magazine raves about? Wouldn’t your advertisers appreciate the chance to reach out even more? 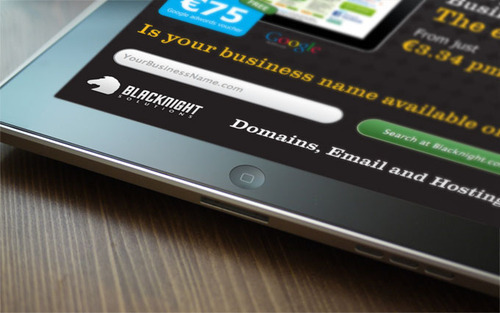 Most print magazine advertisements can, at best, list a website or phone number. Most digital advertisements bounce in readers’ faces, annoying them until they navigate away. We can do better by not only respecting readers but providing something of more value to both them and the advertiser. A few months ago, I was on a flight reading the complimentary airline magazine as I always do. Airline magazines often have surprisingly great writers (Paul Ford for example) and many have interesting tips for wherever you’re going. In this case, it was not anything in the magazine about Reykjavík, my final destination, that caught my eye. This time it was a piece of jewelry. That might sound normal for many people, but I’m honestly not much of a jewelry person. Advertisements from Tiffany’s and other jewelry brands usually bore me, and I flip right by them. This one was different. A necklace like nothing I had ever seen before. I was fascinated by it. I flipped back to that page in the magazine several times to stare before the flight ended. I looked through the duty free catalogue to see if perhaps by some amazing coincidence it would be there but no dice. I snapped a picture of the ad with my phone just to save the company’s name. I was sold. When I got home I spent some time trying to search for the piece in order to find it online & buy it. Shockingly, this jeweler who put together such a stunning magazine advertisement had basically zero web presence. How can this be?! It’s 2013! After much searching, I found a company who sold a small set of this jeweler’s collection, but not the piece I loved. Eventually I exhausted my energy after finding there were no distributors in Ireland for this jeweler – only in Denmark. And while there were a handful of online retailers selling their collection, none had the piece I liked. It was late. I was pretty sure I could call their store in Copenhagen the next day and ask about pricing, shipping, etc., but I did not. Imagine how different this story be with a digital magazine? If Scanorama, the Scandinavian Airlines magazine, had been a digital magazine, that advertisement becomes so much more powerful. I could have clicked and bought the necklace and had it waiting for me when I got back from my holiday. In this case I would have. Whatever about the other products usually in Sky Mall, this was different and special and spoke to me. Now that sale will probably never happen as I unfortunately have no plans to go to Denmark any time soon. Even if they had had a website I could buy things from, it would have been a more likely sale. When we provide crappy, ugly advertisements in our publications, no one wins. The reader is now annoyed and the advertiser gets basically zero traction. Why let your advertisers chase away your readers? You probably need them both. When we put thought into our advertising, we can create beautiful and more effective advertising. 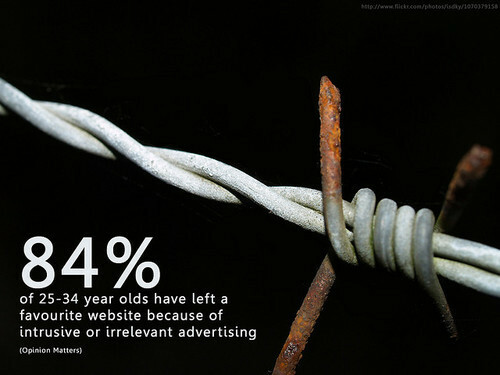 I bring this up with our customers at Woopie to convince them not to put banner ads in their publications. At first, they often think their hands are tied. Then I show them ads like this lovely interactive domain search and this fun developer ad, and their eyes light up as they understand the potential. Is it time-consuming to be thoughtful about your advertising? Yes. Is it easier to just sign up for ad services and not care if the ads are good and just forget about it? Well, yes. Ultimately you have to do what makes sense for your publication. If your publication is fully reader-funded through subscriptions or memberships, well done. If, like many publications, you rely on advertising to help fund your magazine either partially or fully, why not see what happens when you raise your expectations? Curating advertisements creates a better, more respectful relationship with both readers and advertisers. Installing set-and-forget advertising never makes sense unless you’re planning a short-lived magazine. If your publication’s ads are relevant and interesting for your audience, you’ll not only improve effectiveness but eventually will be able to charge more for your advertising slots. Follow Woopie's board Woopie Publications on Pinterest. Copyright © 2019 Woopie Blog. All Rights Reserved.